When the world was young, and its name was Faerie, the power of magic ruled—and the Elfstones warded the race of Elves and their lands, keeping evil at bay. But when an Elven girl fell hopelessly in love with a Darkling boy of the Void, he carried away more than her heart. 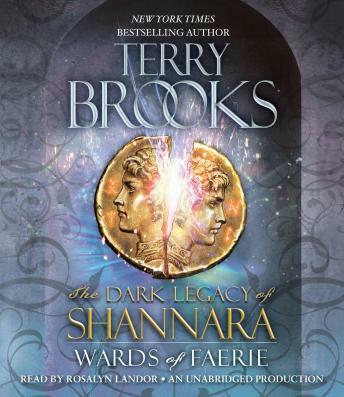 Terry Brooks masterful storytelling drew me into the land of druids and elves when I first read The Sword of Shannara at the age of 13. Now, at the age of 46, he has solidified my love of the Shannara tales as favorites all-time. Awesome, great story in a long line of great story telling.